WEDNESDAY, July 27, 2016 -- Containers that hold liquid nicotine for electronic cigarettes may not be labeled with the correct amount of nicotine, a new study says. And as many as two-thirds of these containers may not be child-resistant, the researchers found. Consuming even small amounts of liquid nicotine can harm a child, the scientists said. 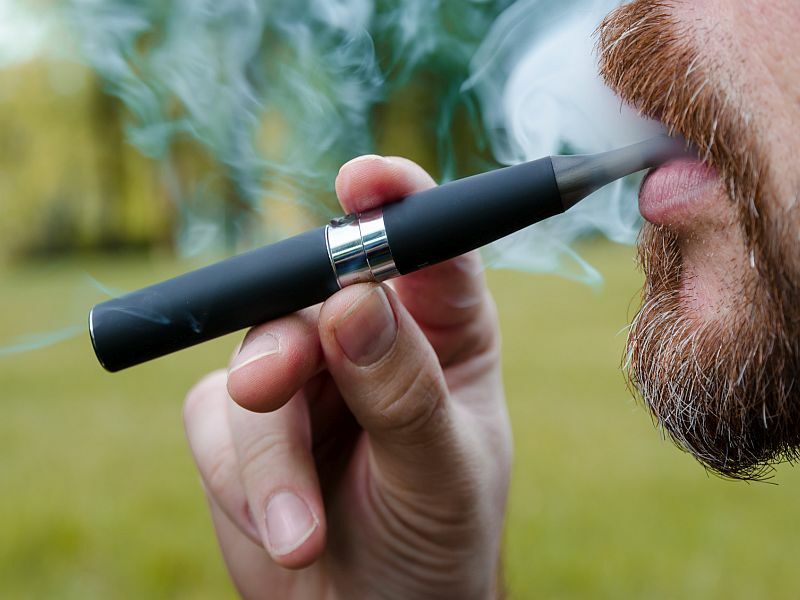 "Mislabeling of nicotine in e-liquids exposes the user to the harmful effects of nicotine," said study author Kelly Buettner-Schmidt, an associate professor of nursing at North Dakota State University. "In areas without child-resistant packaging requirements, children may be exposed to harmful nicotine," she said in a university news release. The researchers checked 93 e-cigarette liquid containers from 16 stores in North Dakota. They found that 70 were labeled containing nicotine amounts ranging from 3 to 24 milligrams per milliliter (mg/mL). However, actual nicotine levels in 51 percent of the containers were different from what was on the label. Thirty-four percent had less nicotine, while 17 percent had more than the label said. The actual amount of nicotine in the mislabeled containers ranged from 66 percent less to 172 percent more, the study showed. Of the 23 containers that claimed to have no nicotine, almost half had some nicotine. The average level was 0.19 mg/mL, and the highest was 0.48 mg/mL, researchers said. Results were published in the July-August issue of the Journal of Pediatric Nursing.